Experience nature in an otherwise bustling city when you take a moment to pause at Rock Creek Park. Whether you choose to hike, bike, run, or picnic here, this beloved park is a popular choice for locals who love to get out and get some fresh air. If you choose to hike through the park’s various trails, keep an eye out for wildlife you won’t see in the city: hawks, owls, foxes, deer, beavers, and sometimes even coyotes are known to wander about. This park offers more than just the regular activities. 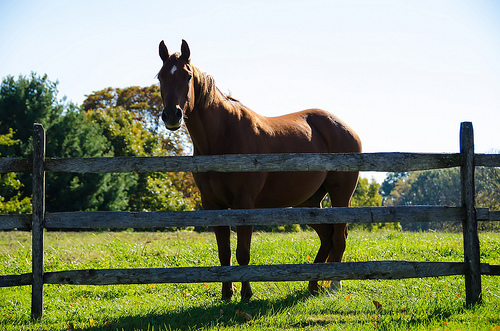 Horseback riders can take to the 13 miles of dirt roads, and horseback riding lessons are also offered for newbies at the Rock Creek Park Horse Center. Love to golf? There’s an 18-hole public golf course complete with a clubhouse for guests to take advantage of as well. Playgrounds dot the park grounds, too, and several fields can be reserved for football, field hockey, and soccer games.